This is sooo visually fascinating. I’m not really very knowledgeable about biology, but I did always enjoy dissection day and getting see firsthand what the insides were all about. 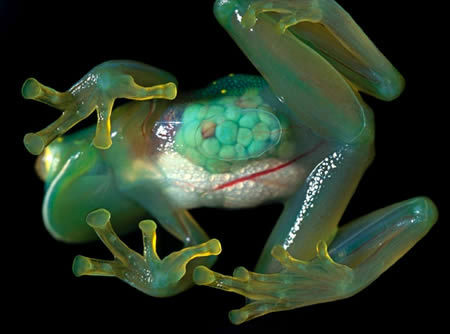 There’s something very sterile and academic about a formaldehyde-soaked frog cut open wide though… seeing this photo on the other hand is simply beautiful. Nature is so cool guys.